We were chilling at home when I received an email from an event tickets marketplace. The email basically saying that HAIM concert would be tonight and prompt me to check out ticket prices. It turned out that we were lucky (wait, let me rephrase – I was lucky because R doesn’t really listen to them), we managed to score 2 tickets for 50% off! The concert was held in a small theatre about 45 minutes away from where we live, in Pomona. With a few clicks, we purchased the tickets, got ready, and left. Btw, I got the chance to watch her live last weekend at We The Fest 2014 and boy.. she was really pretty as well! The show was great, I had a lot of fun. She performed magically and like her new upcoming album, Goddess-like. 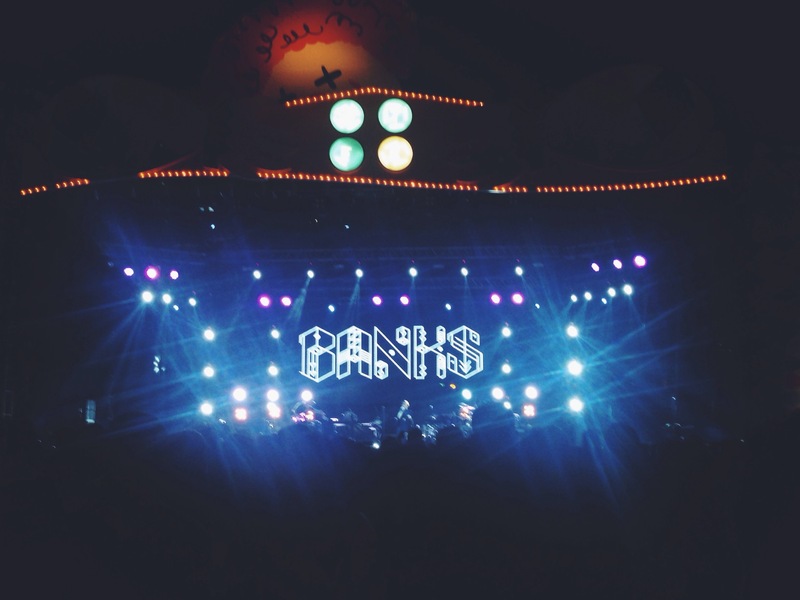 Author ChristaPosted on August 27, 2014 August 27, 2014 Categories ReviewTags concert, I'm listening to, jakarta, music, music video, weekend4 Comments on I’m listening to: Banks.